A subluxation is a stress response. Muscles go into spasm. Spinal bones lock up. And adjacent nerves are choked or chaffed. This interferes with the control and regulation of your body. This garbles communications between the brain and parts of your body. 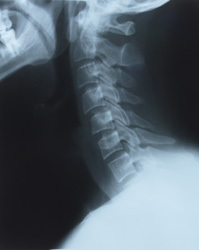 Distorted nerve communications can be an underlying cause of many health problems beyond just headaches and back pain. For example. Interfere with nerve impulses going to or from your stomach: stomach problems. Your nervous system controls every cell, tissue, organ and system of your body. These nerve impulses travel through your spine. So having a spine free of subluxation is essential for optimal health. How come Ive never heard of subluxations before? Sometimes. Todays hectic lifestyles are a constant source of subluxations. Fortunately, our bodies have the ability to self-correct many of these minor problems as we bend and stretch, or when we sleep at night. When subluxations dont resolve, you need to see a chiropractic doctor for an chiropractic adjustments”>adjustment!